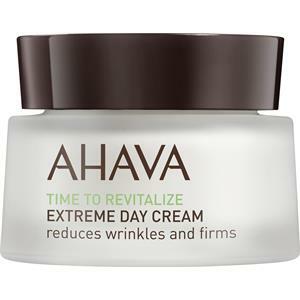 The Extreme Day Cream from AHAVA is based on a ground-breaking formula for mature skin. 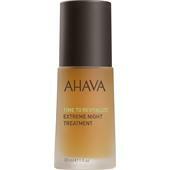 It provides the skin with moisture for many hours and reduces the appearance of even deep wrinkles. 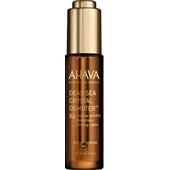 Minerals from the Dead Sea, algae and date extracts as well as extracts from robust moss from Iceland, blueberries and Himalayan Goji berries nourish the skin and protect it from free radicals. 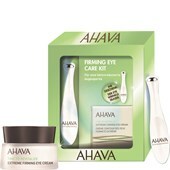 The combination of all these active ingredients revitalises the skin. 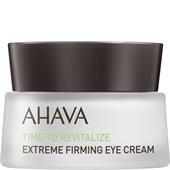 It is left feeling clearly softer and firmer. The perfect intensive day care. Apply every morning to the cleansed face and neck.